The creative process of performing arts is overwhelmingly conducted away from the eyes of an audience, but ultimately, it must be presented to others in order to become a performance. The relationship between performer and audience is as old as theatres, as old as jesters and courts and amphitheatres, old as the dances that occurred in front of firelight in the before-times. The theatre presents a unique space, wherein the creation and suspension of belief occur. As we enter the playhouse, the tent, the auditorium, we make a secret silent pact, to leave the outside behind and enter a new world. This is not a table and a chair, no, this is ancient Greece, this is my internal mind, this is the future that could have been. This is a marvel, and that is a wonder. The entering is important, whether it be through rich red curtains, dusty vinyl, even the multitudes at a festival stage are an entrance to a performance space. Street performers create a stage around themselves, drawing a circle with the bodies of their audience. As we enter, we understand instinctively that the rules are different, that the ways in which people may behave are different, we are primed for the unexpected, we are primed for arousal. The skill of the performer, and their creative team, is what makes the transportation successful. And the audience invariably express their appreciation through the ancient action of applause. Circus is an artform that arouses audiences is all manner of ways. In fact, it is the element of fear that elevates us from the other performing arts. Fear and skill, the body going beyond where the body should go, pushing the boundaries of the possible. Traditional circus is excellent at this, presenting a visual spectacle that puts the heart in the mouth, raises the pulse, and demands a rowdy, audible response from its audience. From the animal circuses of Asia to the giddy demonstrations of Cirque du Soleil, the spectacle is in the demonstration of skill, and except in very rare cases, the emotional journey is secondary to the physical demonstrations. Contemporary circus, or new circus, is a different kind of beast that is still finding its feet and its self-identity. 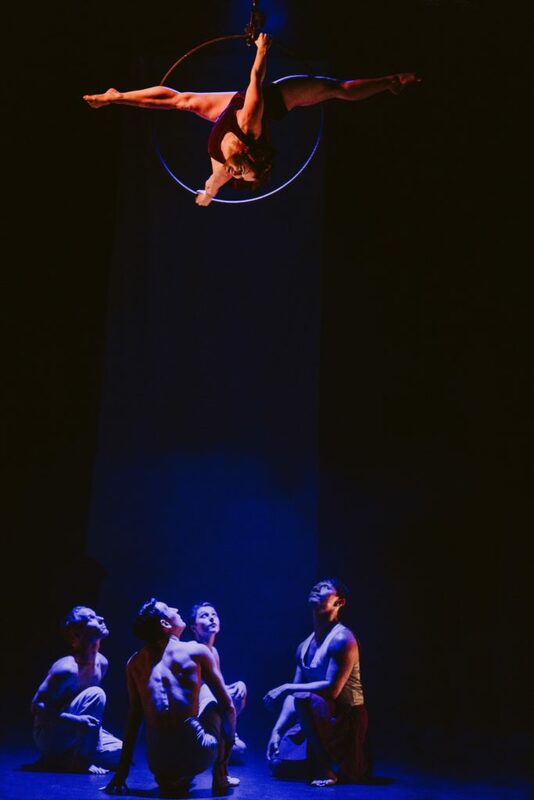 After a slow burn from the 70s and 80s we have entered an era where the most popular shows at many festivals around the world are contemporary circus shows, and what a breadth of diversity they offer. 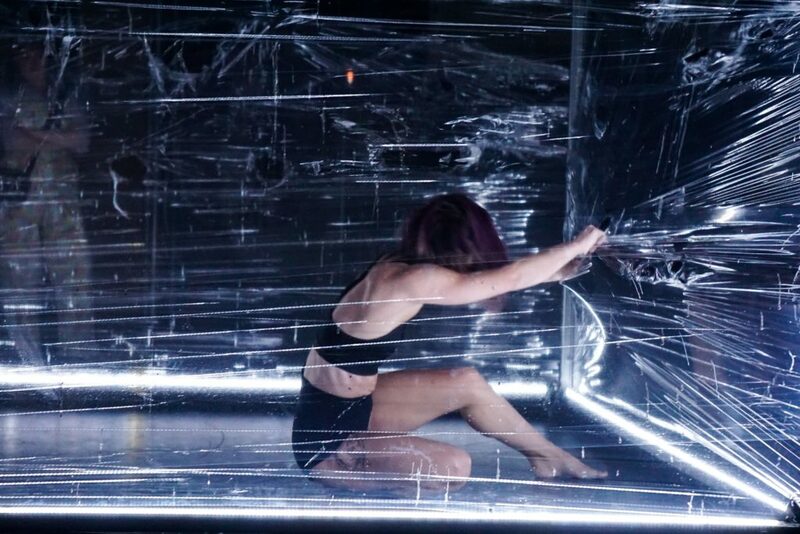 New circus often seeks to tell a story, to weave a narrative into its choreography/ There can be a specific purpose to the sharing, both subtle and overt. New circus is oftentimes deeply political, directly addressing and interrogating societal issues. From the brash glamour of Briefs to the silent and surreal world of Alex Mizzen’s Invisible Things, the giddy beauty of Casus’ Driftwood, the vivid imagery and neo-cabaret of Betty Grumbleand the interpersonal storytelling and history of sideshow of Birdgirl by Sarah Houbolt, the heartbreaking confessional narrative of Legs on the Wall – The Man with The Iron Neck, the bouffon horror of The Long Pigs to the sheer bravado of Gravity and Other Myth’s A Simple Space. The palette from which new circus paints is unfathomably diverse. And the challenge for some audiences is knowing how to respond. Chasing Smoke is a new circus show that tells the stories of six young Aboriginal Australians, and mixes in elements of dance and theatre to present a fresh look at contemporary Australia. Poking fun of itself in some parts, it is deeply moving in others. Dylan Singh performs a stunning trapeze act that speaks to the incarceration and slavery of his ancestors following colonisation. I was made uncomfortable by a nearby audience member who clapped for the tricks, who aaahed at each hold and drop, who didn’t seem to grasp the gravity of the scene. This was one of the many moments over the previous few years that I have felt a bit put off by misplaced applause. When I was younger I was a compulsive cheer squad, the louder the better, my early enthusiasm for circus leaving me befuddled at why someone wouldn’t give it all they had. There are spaces in fact where this is de rigueur– especially at festivals, especially with risqué late-night shows where flesh is bared wantonly and drinks flow in abundance. As I’ve grown older in my art appreciation, seen more works of different styles in different venues, I have changed my mind about what kind of responses are available, about what are suitable, about what are authentic. There are a lot of articles on the etiquette of applause. For the most part, circus has previously been performed in liminal places, at festivals and temporary venues, Spiegletents and so forth. But as new circus has grown in quality and has begun to receive increasingly voracious critical acclaim, we are now entering the largest and most prestigious venues, claiming spaces traditionally reserved for theatre, ballet and opera. In these spaces, you would never interrupt a premium performance with applause, it would cheapen the quality of the event. No, you wait to the end and then you rise to your feet, the well-honed choreography of the repeat curtain call lying in wait for the most appreciative audiences. And yet, the audiences are still responding to circus as if they are at a tuppeny side-show. Even audiences that are invariably ‘well-trained’. In 2018, I attended Circa’s En Masse, a fabulously ambitious project that fused their signature acrobatic style with prestigious classical music, Schubert’s “Winter’s Journey” and Stravinsky’s “Rite of Spring”. The audience, of well-heeled and well-exposed arts lovers, put their hands together for every tumble and three-high, interrupting the tenor and the pianists, and growing in volume from the first tentative claps as the rest of the audience tried to jump on board with ‘circus appreciation’. Is it a leftover from circus not being a ‘real’ art form? The sector certainly has some lobbying work to do. Although we are now overrepresented at festivals worldwide, in Australia we still don’t get the recognition of our own category at Australia Council for the Arts. This is a reflection on how this government body, like many others around the world, dismiss our artform, in what spaces circus is welcome, on the calibre of the performances we create. This has a direct effect on our ability to access funding. Some companies are making great inroads into these so-called prestigious spaces, but audiences and funders alike have a lot to learn about the diversity of our sector. Circus can no longer be pigeonholed. Circus is no longer a cheap outlier, full of shiny spectacles and low-brow humour. Circus has grown up. A great article by Richard Watts in Artshub (2015) interviews a number of prominent circus performers, each of who present interesting perspectives. Kim Kaos points out that training audiences to respond in such a restricted way also limits what they can gain from their experience. We see this when the full perfection of a well-constructed theatrical moment can be dissipated with the release of tension from ill-timed applause. The use of excessive applause can denigrate the meaning of the story being told, particularly if the story is deep or dark. Clapping for the tricks in this instance almost infantilises the story, and certainly devalues it. This one is as much on the performers as anything – as Gelman had noted, some performers felt perhaps their work was not well-received if the response wasn’t noisy – I have definitely observed some performers getting outright cranky with the response from an audience – but in fact offering the audience space to feel what they feel, without a requirement placed on their response, allows for a more authentic response. The flipside of this is giving an audience a push, letting them loosen up, helping them enter a new space and a giddy space, shaking off the social mannerisms of the outside. Nonetheless, a response from an audience shouldn’t be mandated. What might it mean to develop an audience’s understanding of the etiquette of clapping? 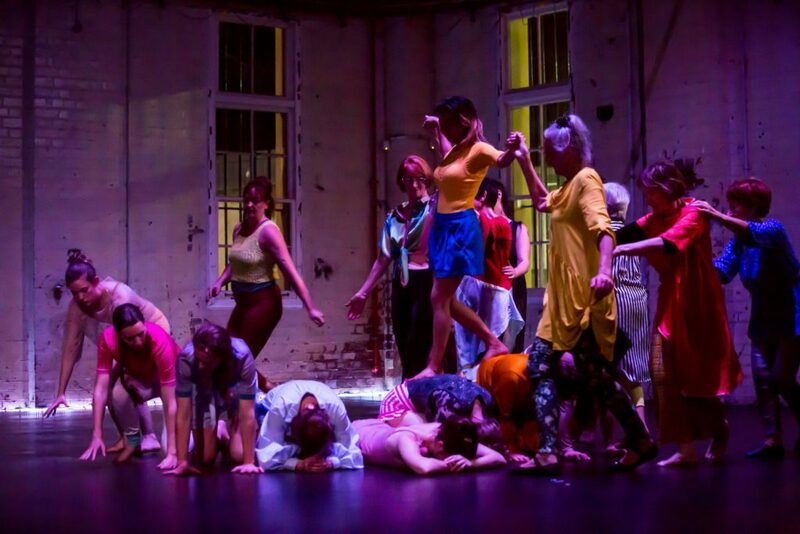 In performance training workshops with the artist Alex Mizzen, she develops the performers sense of knowing when an audience will clap – and when the performer will allow them to do so. It is fairly common for a performer to signal for more applause to indicate that a response is welcome or appropriate. It is less known for the performer to use their stagecraft to prevent applause, by taking the focus off the big tricks, by stalling pauses, by using extension and flow to seal up those spaces that audiences are ready to leap on. Applause is a contagion. Research has shown that people applaud more if others around them are. Yet an audience that is merely participating in a group action are not responding from the heart. 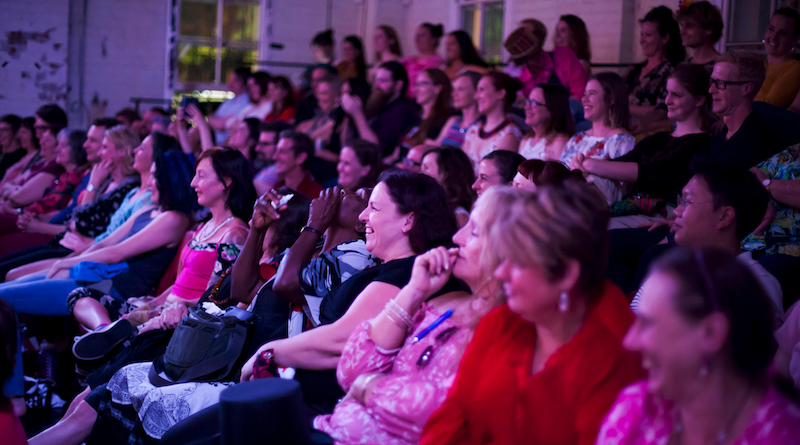 If authentic connection is what you are seeking from your performance, then working to reduce applause throughout a show may be your tactic. Allowing audiences to respond to works without all of those response-inducing tactics might open up the value of a performance for an audience, might open up new spaces and new stories, might allow for a new level of engagement between circus and its fans, new and old. Encouraging audiences to think a little deeper, on whether to clap or not to clap. Nadia Jade is a Brisbane-based creative and entrepreneur who works in and around the circus sector. 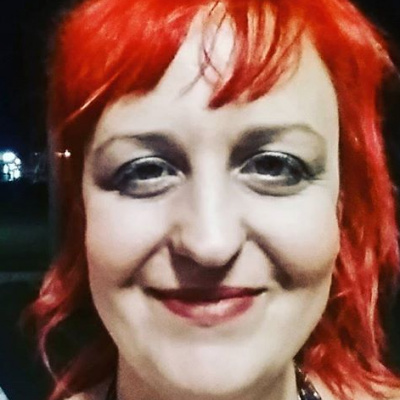 She works for circus production company Cluster Arts and is on the board of Vulcana circus, as well as the force behind alt-arts review site, Nothing Ever Happens in Brisbane. She first fell in love with circus watching madcap sideshow at festivals in the early 2000’s, and that remains her default happy place of choice.